Earlier this week, research firm IDC released a report indicating that, for the first time ever, Apple Inc.’s (NASDAQ:AAPL) iPhone shipments to China have decreased significantly. According to the report, shipments of iPhones to China decreased last year to 44.9 million, a 23.2% decrease from 2015. This has led to an overall decrease in the AAPL market share in China, down to 9.6% from 13.6% in 2015, and a subsequent drop in revenue — Apple’s “fourth consecutive year-over-year dip in the region” — by 11.4%. This new situation is potentially disconcerting to a number of analysts and investors, as China has presented a fantastic opportunity for growth in years past. However, due to the challenges faced by American companies attempting to conduct business in China — namely, the Chinese government’s overbearing regulation and frequent demands for controversial app and product modifications — coupled with the “ascendancy of cheaper but just-as-good local alternatives,” sales of the iPhone 7 were less than spectacular. It’s quite possible that AAPL stock will recover in China, and the lull in sales and Chinese-based revenue will reverse when Apple finally reveals its 10th-anniversary edition of the iPhone. 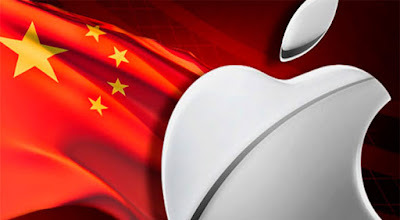 Even considering the recent drop-off in both market share and sales in China, Apple stock is still going strong. According to Strategy Analytics, AAPL earned 91% of global smartphone operating profits in the third quarter. Of the 43 analysts providing recommendations to MarketWatch.com, 33 call Apple stock a buy and 10 call it a hold. The average target price for AAPL stock is $140.57, which represents a potential upside of more than 7% from Tuesday’s per-share closing price of $131.35. Overall, Apple stock is still one of the best choices for your tech-centered investment portfolio. While the struggle for dominance of market share in China will undoubtedly be a long and bloody battle, AAPL has a history of producing some of the world’s most innovative and compelling products, and this reputation — and expectation from consumers and analysts alike — will ensure Apple stock remains on everybody’s short list.